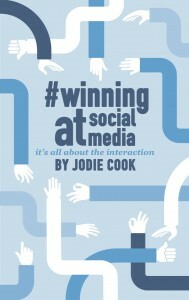 Jodie founded JC Social Media at 22 years old and has championed entrepreneurship ever since. In addition to running her social media business, Jodie proactively engages in other initiatives to become more involved in entrepreneurship, both in her home city of Birmingham and across the country. 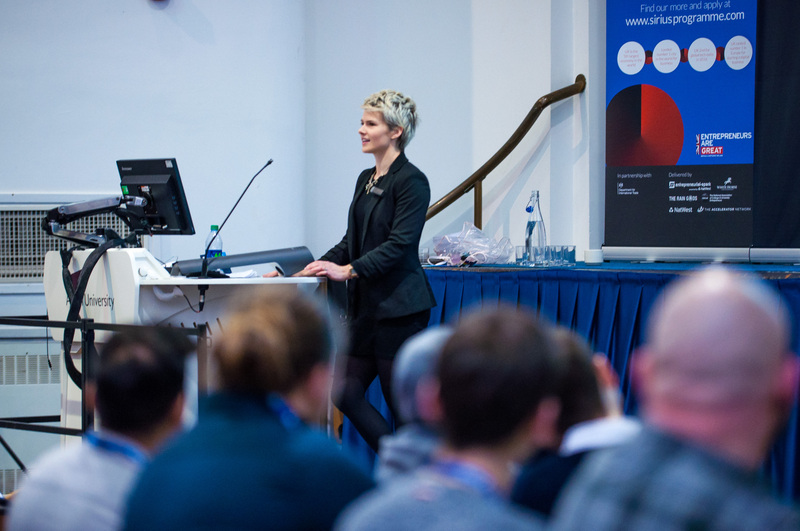 Jodie has delivered many talks to students, professionals and businesspeople about her experience as a young female entrepreneur, including delivering the opening keynote for the annual NACUE conference in 2018. Her story, offering amusing and interesting insights into the world of enterprise, has inspired many to start their own business or take their venture to the next level. Jodie combines her love of powerlifting with work as a way to help manage the demands of entrepreneurship, as discussed here in YFS magazine. 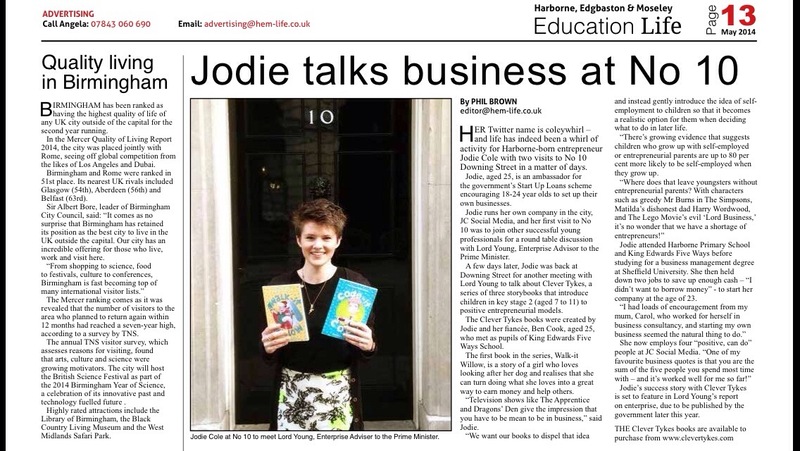 Through the Clever Tykes storybooks, Jodie is inspiring children as young as 5 to be resourceful, positive and aspirational. Read more about the storybooks here. Jodie was also one of the original twelve ambassadors appointed to launch the Start-up Loans programme, which provides small business loans and support to young entrepreneurs. 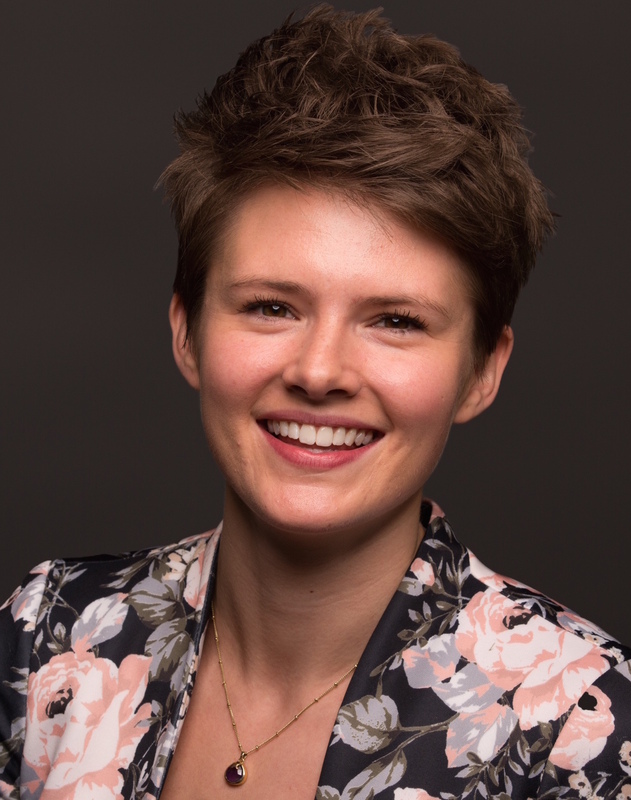 Jodie was crowned Birmingham Young Professional of the Year in 2014 and has used the title to inspire other young business leaders to play their role in growing the presence of business and professional services in the city. The 2015 event was the biggest to date and Jodie handed over her crown after delivering her farewell speech. Jodie has interviewed entrepreneurs and business leaders for the Clever Tykes podcast, ‘creating useful people’, about the childhood influences that led to their success as adults. Listen here and subscribe on iTunes here. To contact Jodie about enterprise use the contact form.